This is a great activity for a group of youth to do for a community service projects. 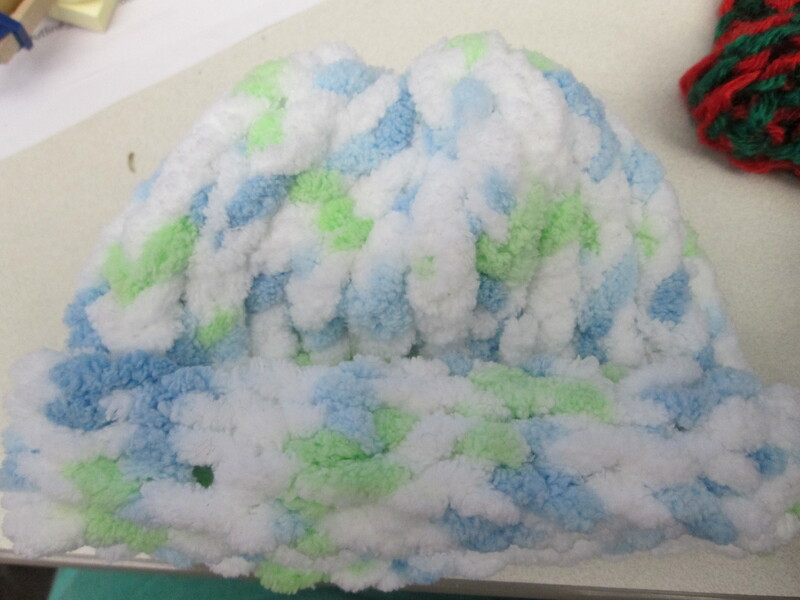 Hospitals will often times accept hats made for babies to send home with newborns to help keep their head warm. These are something that I often do with the youth at the Juvenile Detention Center Shelter Home. They are pretty easy to make and can go pretty quickly. 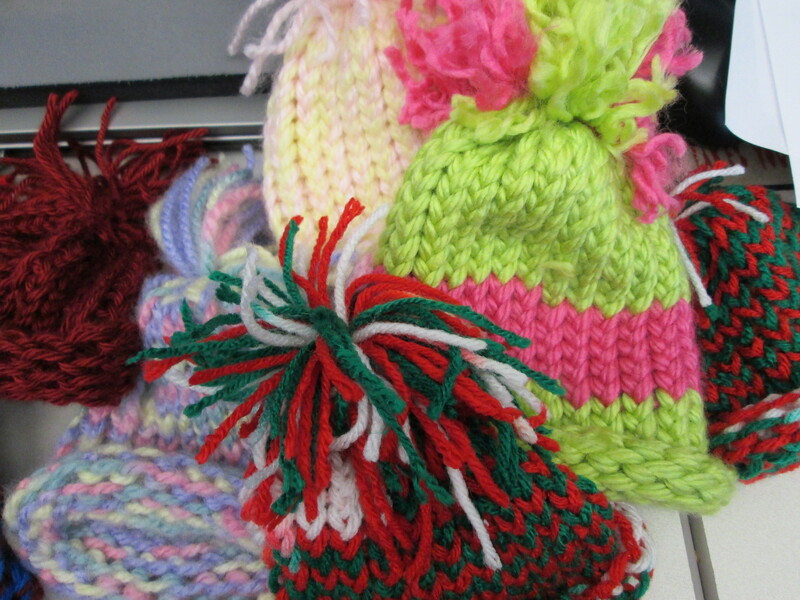 You can change up the style by adding a pom at the top or a brim at the bottom. 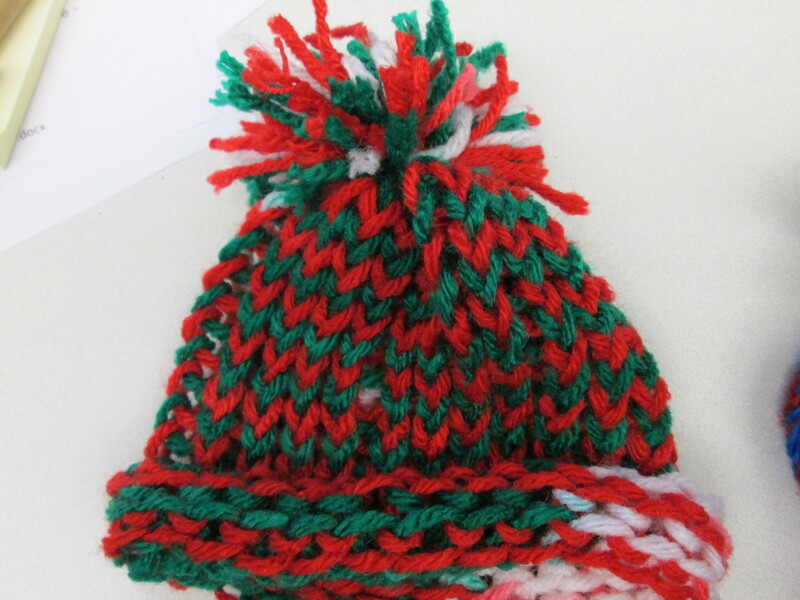 You could even make a longer one and have a modern style slouch hat for a baby. All that is required is to follow the directions provided by the Knifty Knitting Looms. These can be bought at any craft store. 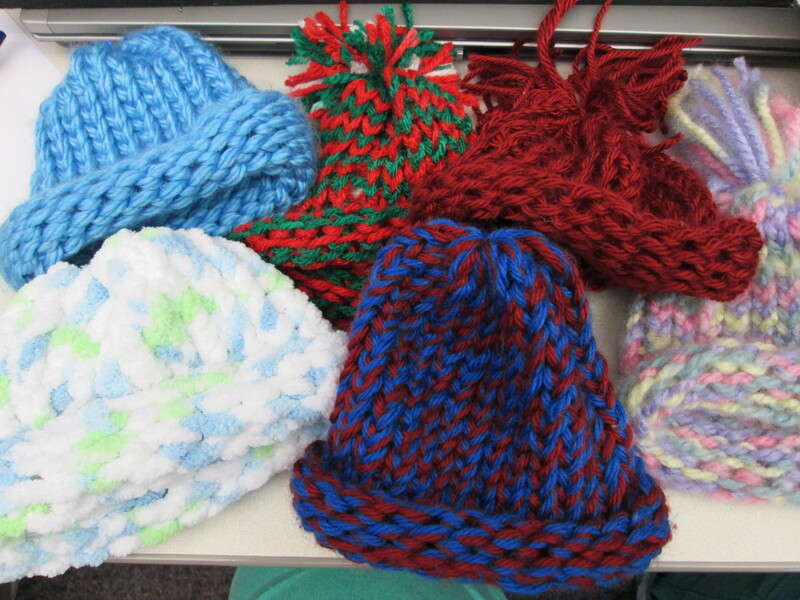 Here are some of the ones that I just donated today! Let me see some pictures of your hats! I’ve seen this a few different places, and I’ve always wanted to try it. I guess now would be a good chance to. As I was watching the video that goes along with this I was thinking that this would be a good project for older 4-H youth to do at a meeting. 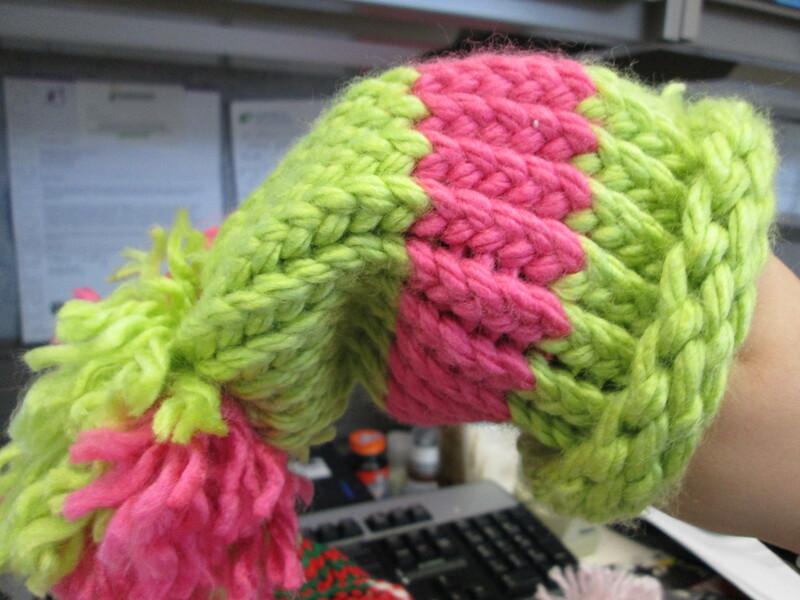 The younger ones could even do finger knitting so they don’t feel left out. 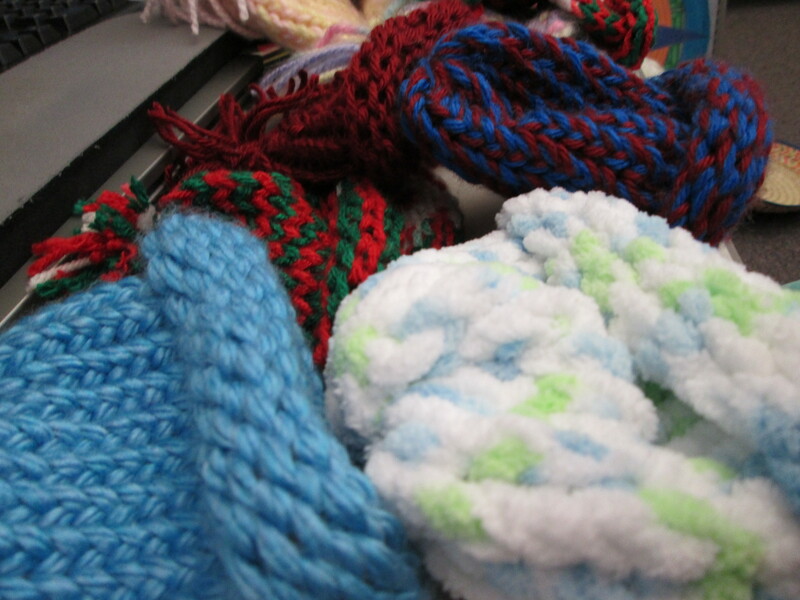 Then could either make scarves/cowls for themselves or to donate to a worthy cause. Since I can’t embed videos on this blog, I’ll just post a link to where you can see the video for yourself.